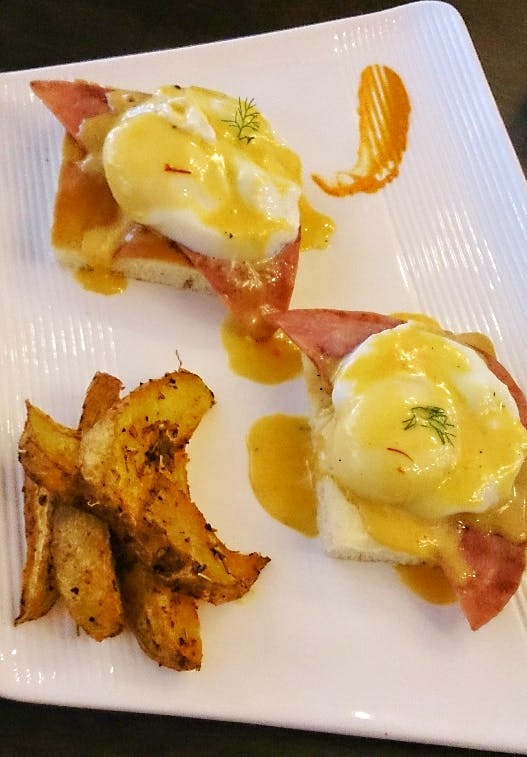 I am totally a fan of their eggs Benedict, the lemon ricotta pancake with apples, smoked cheese french toast with mushrooms and stuffed strawberry and Nutella French toast on buttered brioche! They have world class food, good service and a very cosy ambience. I wish they served tea like English Breakfast and Darjeeling tea. If you're going there on a weekend, you probably will have to wait. The place is small and gets filled up pretty fast. It has around 5 tables and window sitting.